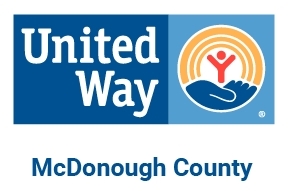 McDonough County United Way advances the common good by creating opportunities for all. Our focus is on health, education, financial stability — the building blocks for a good quality of life and a strong community. By making it easier for individuals to access substance abuse programs, receive quality health care and access nutritious foods, we’re fighting to help everyone get—and stay—healthy. We believe each person should have access to the care and preventative services needed to maintain good health that improves the quality of life. Together with our partners, our goal is to ensure everyone has access to affordable, quality health care and services that promote and teach the habits of a healthy lifestyle. McDonough County consistently ranks 2.5-3% higher than state averages for food instability. 50% of the McDonough County Students qualify for free or reduced school lunches. Just over 20% of the county's population is ages 60+. Social IMPACT Research Center at Heartland Alliance estimates that nearly 10% of county individuals (non-seniors) do not have health insurance. We know the best chance for improving people's health is by breaking through the barriers and attitudes preventing a healthy lifestyle. While individual and family needs may differ significantly, health services must target and address issues in three key areas. Children, adults, and seniors have access to care and health care coverage. Children, adults, and seniors have improved physical and behavioral health. Expectant parents and newborns have healthy beginnings. These outcomes and key indicators are used to evaluate the effectiveness of direct service programs and collective impact initiatives funded under the health area. We believe that every child deserves the best possible future and a good education is the foundation for success in all areas of life. Together with our partners, our goal is to provide each child in McDonough County with the opportunity and support necessary to achieve their greatest academic potential. This means ensuring each child starts school ready to learn and graduates prepared for their career. Research estimates that for every child who attends high-quality child care, taxpayers can save up to $3,700 per child over his/her K-12 years. The average 4-year graduation rate across McDonough County districts was 85 percent in 2013, down from 96 percent in 2009. By 2020, 61 percent of all jobs will require a college degree. We recognize that education services offered to children and families lie within a chronological continuum that begins at birth. While services offered at any point along the continuum may have benefits, local research identified five key points critical for student success. Students are reading at grade level. Students are promoted to the next grade level each year. Students are prepared for their transition to high school. Students are graduating from high school. These outcomes and key indicators are used to evaluate the effectiveness of direct service programs and collective impact initiatives funded under the education area. We know that our community is most prosperous when people and families are financially stable with a job, safe housing, and the ability to save. Together with our partners, our goal is to provide people and families with realistic solutions that increase their financial stability. This means ensuring people and families have access to opportunities and programs that help secure and maintain a job and housing, while also allowing them to begin building assets. Between 2008 and 2012, 25.7 percent of households in McDonough County were severely burdened by their rent, meaning at least half of household income was spent on housing. The median income for a household in the county is $33,702. 23.7% of the population were below the poverty line, including 21.7% of those under age 18 and 9.4% of those age 65 or over. We recognize that ensuring financial stability for someone means issues must often be addressed in a specific order and in a step-like manner. People and families must have sustaining-employment before they can obtain and maintain safe, affordable housing. Along with that, they must also have manageable debt and expenses before realistically increasing their savings and acquiring assets. With these steps in mind, local research identified the following areas critical to reaching financial stability. People and families maximize the income supports they receive. People and families obtain and maintain family-sustaining employment. People and families obtain and maintain safe, affordable housing. People and families have manageable debt and expenses. People and families have the necessary financial assets to avoid financial crisis. These outcomes and key indicators are used to evaluate the effectiveness of direct service programs and collective impact initiatives funded under the income area.